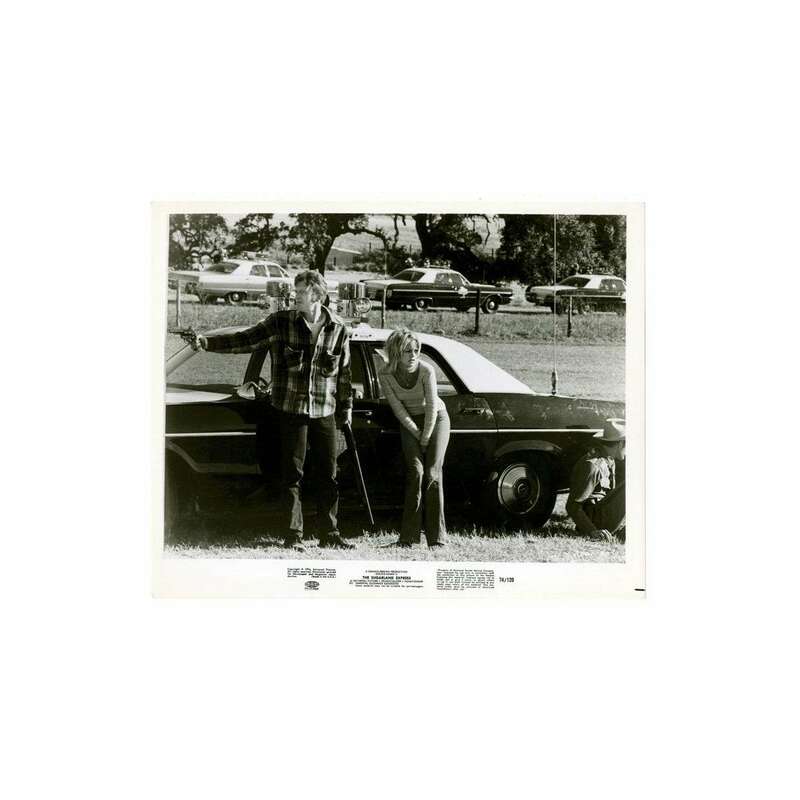 > Lobby Cards and Photos>SUGARLAND EXPRESS 8.25x10 still '74 William Atherton & Goldie Hawn by police car, Spielberg! SUGARLAND EXPRESS 8.25x10 still '74 William Atherton & Goldie Hawn by police car, Spielberg! An Original Vintage Theater-Used 8 1/4" x 10" Movie Still Condition: Very Good to Excellent (C7) See our 10 GRADE SYSTEM Page for more information. The Sugarland Express is a 1974 American drama film directed by Steven Spielberg, starring Goldie Hawn, Ben Johnson, William Atherton, and Michael Sacks. It is the first Steven Spielberg film to be intended as a theatrical release. Important Added Info: Note that this still measures 8 1/4" x 10".